Geothink researcher Peter Johnson and his students have been working with government partners across the country to examine the state of civic open data projects in Canada. 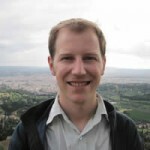 Peter Johnson, assistant professor in the University of Waterloo Department of Geography and Environmental Management, was recently awared Ontario’s Young Researcher Award. Geothink co-applicant researcher Peter A. Johnson is an assistant professor of Geography and Environmental Management at the University of Waterloo. Johnson and his students have been working with Geothink government partners across the country to examine the state of civic open data projects in Canada. In our latest podcast, he discusses how the seemingly desirable ethos of open data may nonetheless hamper our understanding of how end users are interacting with government products. In their July article published in Government Information Quarterly, Johnson and Geothink head Renee Sieber discuss what they see as the dominant models—and related challenges—of civic open data today. The authors suggest that these models may carry potentially conflicting motivations. Governments can distribute data and leave it to users to discover and determine data’s value, they may aim to track civic issues in ways that are cost efficient, or they may also try to support market innovation via data provision and the promotion of crowd-sourced contributions. On the other hand, open data efforts also have the potential to enable productive and empowering two-way civic interactions when motivated by non-economic imperatives. What future directions will government data provision take? That may depend a lot on the choices that government agencies—and end users—make today. If you have thoughts or questions about this podcast, get in touch with Naomi Bloch, Geothink’s digital journalist, at naomi.bloch2@gmail.com. Sieber, R. E., & Johnson, P. A. (2015). Civic open data at a crossroads: Dominant models and current challenges, Government Information Quarterly, 32(3), pp. 308-315. doi:10.1016/j.giq.2015.05.003. OR: View pre-print copy. As open data becomes more widely provided by government, it is important to ask questions about the future possibilities and forms that government open data may take. We present four models of open data as they relate to changing relations between citizens and government. These models include; a status quo ‘data over the wall’ form of government data publishing, a form of ‘code exchange’, with government acting as an open data activist, open data as a civic issue tracker, and participatory open data. These models represent multiple end points that can be currently viewed from the unfolding landscape of government open data. We position open data at a crossroads, with significant concerns of the conflicting motivations driving open data, the shifting role of government as a service provider, and the fragile nature of open data within the government space. We emphasize that the future of open data will be driven by the negotiation of the ethical-economic tension that exists between provisioning governments, citizens, and private sector data users. This entry was posted in Geothoughts Podcasts and tagged City of Edmonton, City of Kitchener, City of Toronto, City of Victoria, City of Waterloo, civic participation, data analytics, impact measurement, open data, open government, Peter Johnson, podcast, Research Theme 4: Open Everything on October 6, 2015 by Geothink. 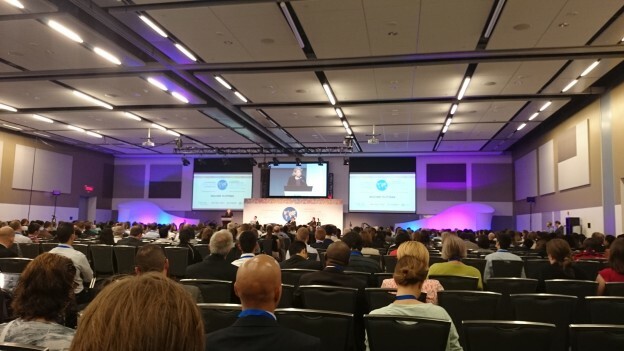 The 2015 International Open Data Conference (IODC) opened today, May 29, at the Shaw Centre in Ottawa. Below, we detail the conclusions from several panel discussions on open cities. In fact, open cities were the featured topics in two of the day’s panel sessions. While a number of case studies were given, panelists emphasized that few cities (less than 1%) globally have adopted any type of open city initiative. However, the case studies demonstrated the potential for sensing and data analysis to be used to improve resource allocation and targeting in a city’s public services. A good example given was by Stephane Contre, the chief analytics officer for the City of Edmonton. In particular, he mentioned how hotspot mapping using a kernel density function was done on light bulb point data and on crime point data. This results in new layers representing point data with continuous surfaces. Such a representation allows officials to layer the light bulb, other hotspot data, and various crime data sets, identify correlations, and identify areas in need of additional resources or patrolling. Not only was there a focus on the data side of open cities, there was also an emphasis on the need for citizen engagement. Without citizen engagement in an open city initiative, city residents simply become receivers of public services. Feedback loops that allow citizen input are needed to make sure city officials can adequately gauge and react to the demands of citizens. 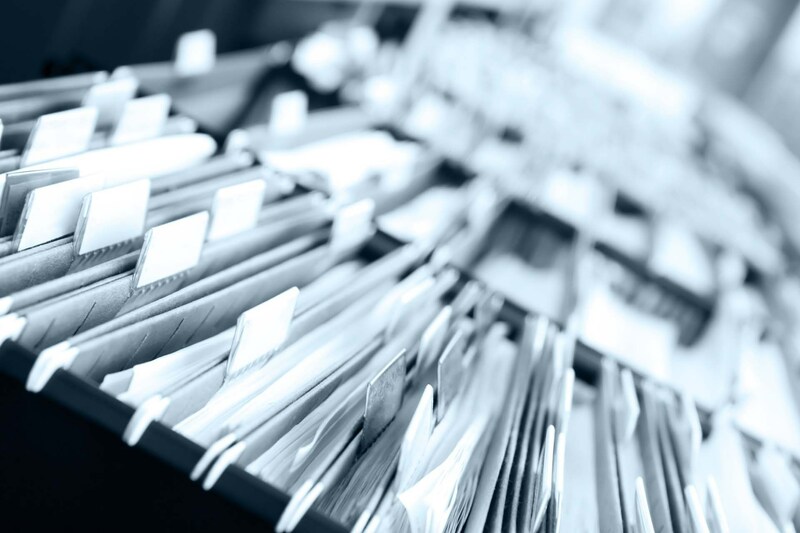 Furthermore, big barriers to releasing open data still remain, especially in the organizational culture within government and due to the lack of political support. Additionally, civil servants require better computer and data literacy to bring about a ‘data first’ mindset where civil servants keep in mind the idea of openness as well as the possible analysis they could perform on a given data set. Closing remarks were made by Sir Nigel Shadbolt of the Open Data Institute (ODI) and Tony Clement, president of the Treasury Board of Canada, who both expressed great optimism for the future of open data. According to Shadbolt, the next step for open data is in empowering individuals with their own data. He believes a mashing of open government data with personal data and even mobiles and wearable personal sensors will allow us to create even richer data driven experiences that improve quality of life. Follow #IODC15 for rapid updates by attendees on conference activities. If you have thoughts or questions about this article, get in touch with Suthee Sangiambut, Geothink’s Newsletter Editor, at suthee.sangiambut@mail.mcgill.ca. This entry was posted in Conferences and tagged City of Edmonton, IODC15, Open Cities, open data, Open Data Conference 2015 on May 29, 2015 by Geothink. Edmonton is working to be on par with the world’s smart cities through an open city initiative that will revolutionize the life of the city’s citizens. In our third edition of Geothoughts, we’re excited to bring you an interview with Yvonne Chen, a strategic planner for the city of Edmonton’s Open City Initiative. You can also subscribe to this podcast by finding it on iTunes. In this interview, we talk with Chen about what it means for Edmonton to be on par with the world’s smart cities, the open city initiative due before the Edmonton City Council and future projects that will revolutionize the life of the city’s citizens. Edmonton’s City Council has yet to consider an Open City Initiative that may cement the city’s status as one of the world’s newest smart cities. But as we wait for the council to take action, we bring you a deeper look at the Initiative from Yvonne Chen, a strategic planner for the city who has helped orchestrate the Initiative. That was Chen in an article published on Geothink.ca a few weeks ago. Her work on the initiative follows close on the heels of a 2010 decision by city leaders to be the first to launch an open data catalogue and the 2011 awarding of a $400,000 IBM Smart Cities Challenge award grant. In March, the city cemented a partnership with Startup Edmonton when they announced the Open Labs project to connect city staff with the six-year-old group to work on solving problems using the city’s data. Startup Edmonton’s aim is to bring developers, designers, makers, founders, investors and mentors together in one place with a goal of using their strengths collaboratively to encourage the development of startup companies based on technological innovation. For the city, some initiatives have included using advanced analysis of open data streams to enhance crime enforcement and prevention, and interactive neighborhood maps that will help Edmontonians locate and examine waste disposal services, recreational centers, transit information, and capitol projects. In fact, one of Edmonton’s most notable projects has included providing free public Wi-Fi around the city’s LRT stations, with plans for an expansion to all trains and tunnels. However, not all of the city’s efforts have worked exactly as planned. In particular, questions have been raised by the city council about the sheer volume of smartphone applications that have been developed by the city and the efficacy of some of them. City officials believe the collaboration may serve to fix this, or at least reduce the cost of when they don’t work as planned, according to The Edmonton Sun. For Chen, the release of the Open City Initiative represents the culmination of years of work. In fact, the document outlines city policy, action plans for specific initiatives, environmental scans (or reviews), and results from public consultations on city initiatives. More than 1,800 Edmontonians commented on the initiative last October before it was revised and updated for the Council. Like many provincial and federal open city policies, the document focuses on making Edmonton’s government more transparent, accountable and accessible. Unlike such policies, Chen said, it also focuses on including citizens in the design and delivery of city programs and services through deliberate consultations, presentations, public events and online citizen panels. In fact, more than 2,200 citizens are on just the panel asked questions by city officials as they design the initiative’s infrastructure. And just as the Canadian Government celebrated it’s second annual CODE Hackathon this past February, Edmonton hosted its second annual city hackathon on February 21st. Some of these applications may one day hit the city’s streets. Of interest, according to Chen, are one team’s project to consolidate all of the city and affiliated organization’s disparate Twitter feeds into one Twitter box that citizens can personalize, and a project that made use of multiple data sets to allow users to rank neighborhoods by socio-demographic variables for a variety of purposes including determining what types of schools are nearby. This entry was posted in Geothoughts Podcasts and tagged Behind the scenes, City of Edmonton, Edmonton Hackathon, Open City Initiative, podcast, smart cities, Yvonne Chen on May 27, 2015 by Drew Bush. Sometime early next week, Edmonton’s City Council will vote to endorse an Open City Initiative that will help cement the city’s status as a smart city alongside cities like Stokholm, Seattle and Vienna. This follows close on the heels of a 2010 decision by city leaders to be the first to launch an open data catalogue and the 2011 awarding of a $400,000 IBM Smart Cities Challenge award grant. 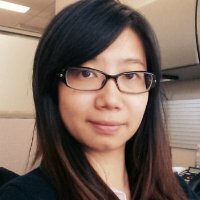 Yvonne Chen, Strategic Planner at City of Edmonton. This work has included using advanced analysis of open data streams to enhance crime enforcement and prevention, an “open lab” to provide new products that improve citizen interactions with government, and interactive neighbourhood maps that will help Edmontonians locate and examine waste disposal services, recreational centres, transit information, and capitol projects. For Chen, last week’s release of the Open City Initiative represents the culmination of years of work. “My role throughout this entire release was I was helping with the public consultation sessions, I was analyzing information, and I was writing the Open City initiative documents as well as a lot of the policy itself,” she said. Like many provincial and federal open city policies, the document focuses on making Edmonton’s government more transparent, accountable and accessible. What sets Edmonton apart, Chen said, is a focus on including citizens in the design and delivery of city programs and services through deliberate consultations, presentations, public events and online citizen panels. In fact, more than 2,200 citizens are on just the panel asked questions by city officials as they design the Initiative’s infrastructure. So what will it mean to live in one of North America’s smart cities? Edmonton is already beginning to provide free public Wi-Fi around the city, developing a not yet ready 311 application for two-way communication about city services, and working to fully integrate its electronic services across city departments. What do you think about Edmonton’s Open City initiative? Let us know on twitter @geothinkca. This entry was posted in In The News and tagged City of Edmonton, geothink partners, IBM, LRT, Open City Initiative, open government, smart city, Wi-Fi, Yvonne Chen on April 2, 2015 by Drew Bush.